Haven’t Got the Details on the Best-Ever Toyota Highlander Yet? Let Us Fill You In! Toyota definitely looks to be making it a great start to the new year, particularly judging by the fact that the freshly-arrived 2016 Toyota Highlander is charting some impressive new heights in improving one of the company’s most successful recent models! Offering some first-ever transformations to help bring the classic mid-size SUV into the modern automotive era more than ever before, along with plenty of new options to make shopping for a customized package an even more engaging process than in years past, the new Highlander has got plenty available to keep making new fans as well as surprising old ones. As the positive reviews continue to roll in, we’ve got all the details you need to know to get a handle on the excellent new 2016 Highlander. The biggest story in relation to the arrival of the new Highlander is, for most, the timely inclusion of a hybrid option. Already ranking admirably high on government fuel economy ratings in its standard form, the new addition of a gas-electric hybrid to the Highlander roster gives the leading SUV an unprecedented ability to challenge the standards of what vehicles like it can do in terms of efficiency. The hybrid Highlander, working hard at an average of almost 30 miles per gallon, comes available at the top of the vehicle’s price range, but also makes it count by coming fully stocked with all available features. Naturally, all of these new additions come together to showcase the best Highlander yet. When it comes to variety, the 2016 Highlander also has an unusual amount of options available to make it easy to set up the right package for personal needs. Available in both four and six-cylinder versions, all models also offer an all-wheel drive option for those who anticipate dealing with tougher terrain, as well as the choice between two individual seats in the second row or a three-person bench seat to customize necessary seating. A variety of power options, like moonroof and seats, compliment the streamlined navigation and entertainment system that come on board the Highlander XLE, providing an ideal package for those interested in more accommodations. With all of these smart improvements in mind, it’s no wonder that the Highlander still ranks as the second best-selling mid-size SUV in the U.S. during the last year. 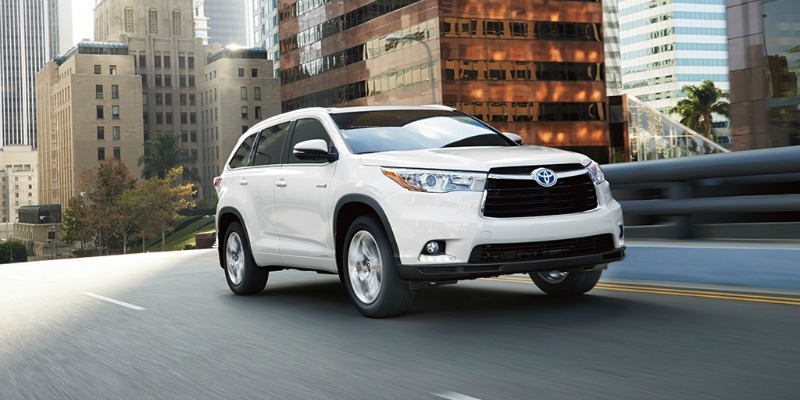 If you’re looking for something that doesn’t just claim reliability and value, but can demonstrate it based on a variety of both independent and government standards ratings (such as those from Consumer Reports), then the 2016 Toyota Highlander is likely to have all you need and more. With a variety of seat-folding options and 13.8 cubic feet of standard rear storage, the utility part of the Highlander’s identity is well represented. Of course, this is all just the beginning of a what we think is ultimately a vehicle that doesn’t need us to talk it up in order to reveal its worth to a wide variety of drivers. Don’t hesitate to get in touch with us here at Elmhurst Toyota as soon as you’re ready to learn about everything that the standout 2016 Toyota Highlander has to offer! 0 comment(s) so far on Haven’t Got the Details on the Best-Ever Toyota Highlander Yet? Let Us Fill You In!